Covering a media event as a blogger has its own set of perks. 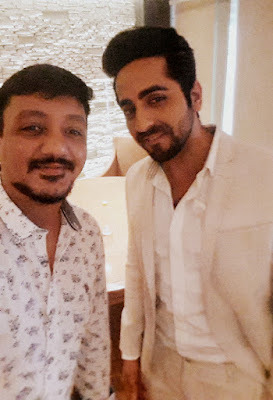 But if you're invited by The International Indian Film Academy (IIFA) directly, it translates into a different level of excitement altogether. After all, IIFA is the most appreciated South Asian film academy and the IIFA Awards is India's biggest media event with a viewership of around 800 million people. Only a fool would turn down an offer like that! Last month I received a special invite to attend a press conference announcement for the 16th Videocon D2H IIFA Weekend and Awards 2015. The event was held at the PVR Director's Cut, New Delhi on May 15, 2015. 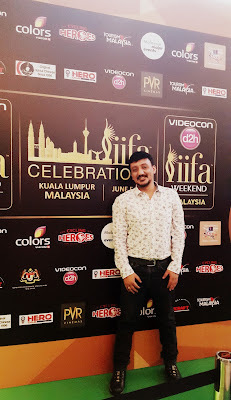 Some of you may already know that the Videocon D2H IIFA Weekend 2015 will be held in Kuala Lumpur, Malaysia, from tomorrow, that is, June 5, 2015. The two-day event will be telecast on Colors, India's leading Hindi entertainment channel, which has footprints in over 140 countries. The press conference was graced by famous Bollywood celebrities such as Anil Kapoor, Ayushmann Khurrana, and Neha Dhupia. Andre Timmins: Director, Wizcraft International Entertainment Pvt. Ltd. 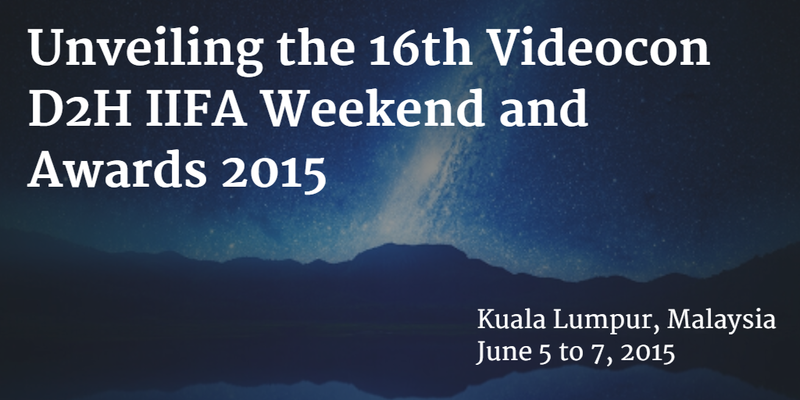 The IIFA Awards is one of the world's most watched annual entertainment events. What started with a one night celebration in 2000 at the Millennium Dome, London, is now a world-wide phenomenon. 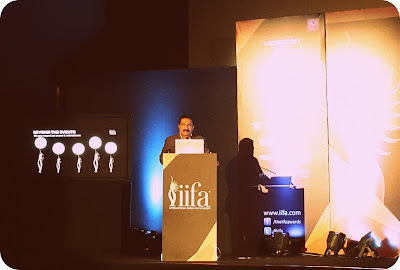 The last sixteen years have seen the IIFA movement develop into a spectacular weekend of film festivals, workshops, exhibitions, film showcases and premieres, sporting events, and global business forums, all of which culminates into the highlight of the weekend, the IIFA Awards. The IIFA Awards has traveled to four continents and eleven countries since its inception, never ever repeating a venue. 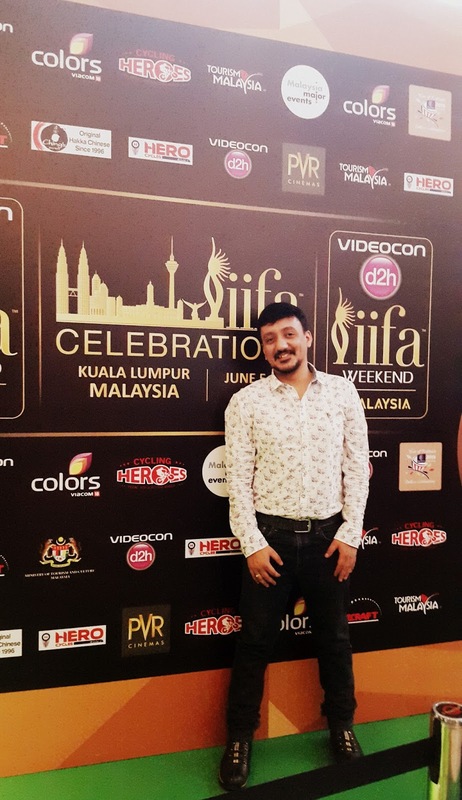 However, this year IIFA is making an exception by hosting the event in Malaysia for the second time (Malaysia hosted the awards ceremony in 2002, when the event was just three years old). A fashion extravaganza night hosted by Friends of IIFA, Neha Dhupia and Vivek Oberoi. Performances by the biggest Bollywood superstars: Hrithik Roshan, Anil Kapoor, Ranveer Singh, Arjun Kapoor, Shahid Kapoor, Sonakshi Sinha, Parineeti Chopra, Shraddha Kapoor, Priyanka Chopra, Farhan Akhtar, Riteish Deshmukh, and Pulkit Samrat. Musical performances at the IIFA Rocks: By Shankar-Ehsaan-Loy, Mika, Ankit Tiwari, Kanika Kapoor, Jawed Ali, and the Nooran sisters. Superstar performances at the IIFA Rocks: By Jacqueline Fernandes, Aditi Rao Hydari, Lisa Hayden, and Lauren Gotlieb. Choreography at the IIFA Rocks: By Shiamak Davar. 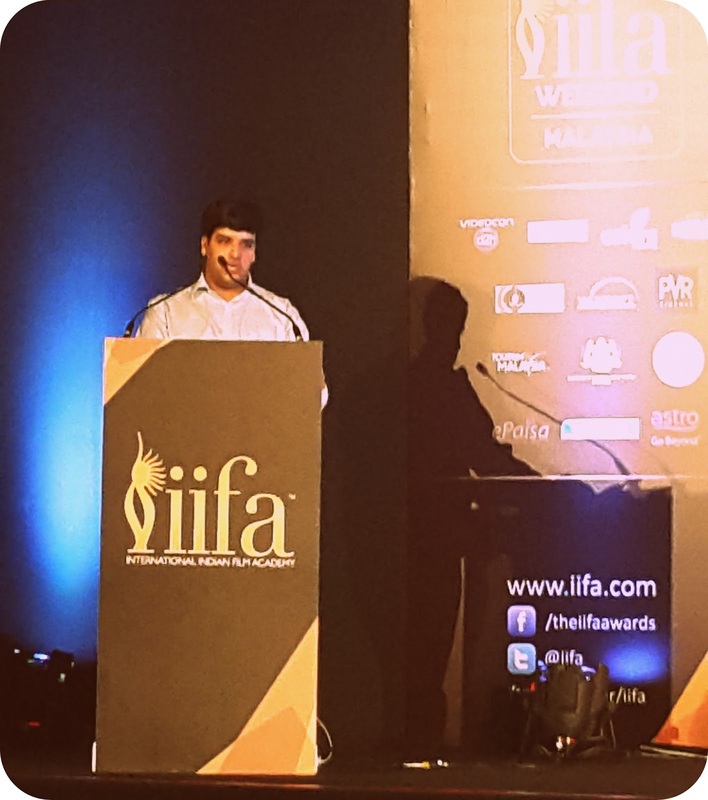 Premier of star-studded Hindi film, Dil Dhadakne Do, at the IIFA Gala Screening. Green carpet, instead of red, making the event socially relevant. Launch of S-CROSS, a new Premium Crossover from Maruti Suzuki, on the IIFA Awards stage. The IIFA Awards will be anchored by Ranveer Singh and Arjun Kapoor (the "Gunday" duo) and will be broadcast on Colors Viacom18, India's leading Hindi entertainment channel. This is the first time IIFA has partnered with Colors, so expect an evening filled with mischief, humor, and repartee. Tickets for the event can be purchased from www.myticket.asia or by calling 03-80808700 or 017-2447139. If you wish to purchase the VIP Hospitality Tickets, you can send an email to viphospitality@iifa.com. 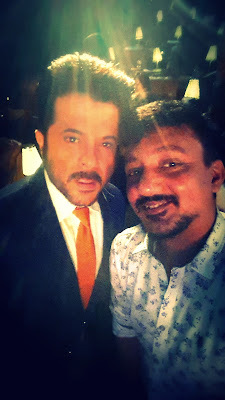 As you can imagine, it was a dream come true to see Anil Kapoor in person. This year's event is like a reunion of two great families - IIFA and Colors. 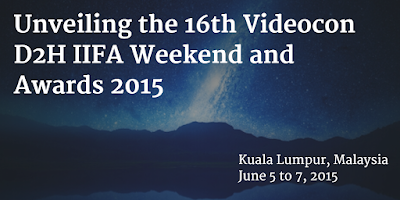 Delighted to see IIFA return to Malaysia. Malaysia has been a great host in the past. This year's IIFA Awards is going to be the best. 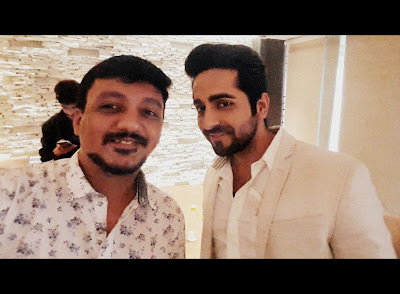 I even managed to click a selfie with him. IIFA Awards is probably the largest export of Indian cinema to the world. Excited about hosting the first fashion extravaganza night at the IIFA Weekend. 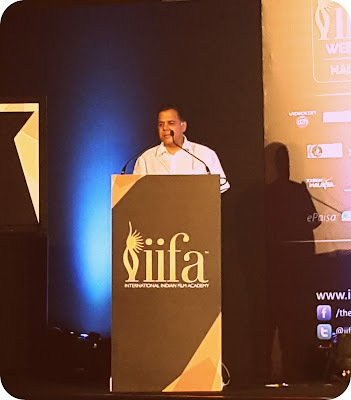 I've always enjoyed watching the IIFA Awards on television and truly believe that it is the best way to promote Indian cinema to a larger world audience. Now I cannot wait for the IIFA Weekend and Awards to start. Let the drums roll!